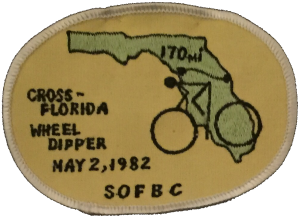 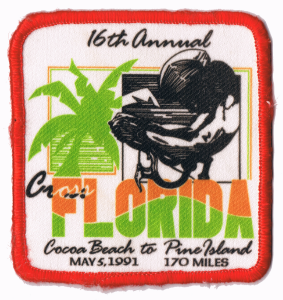 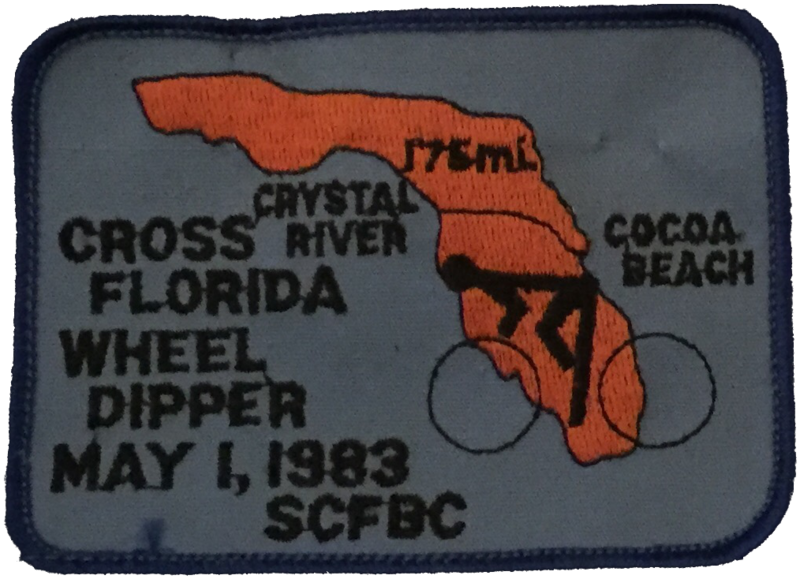 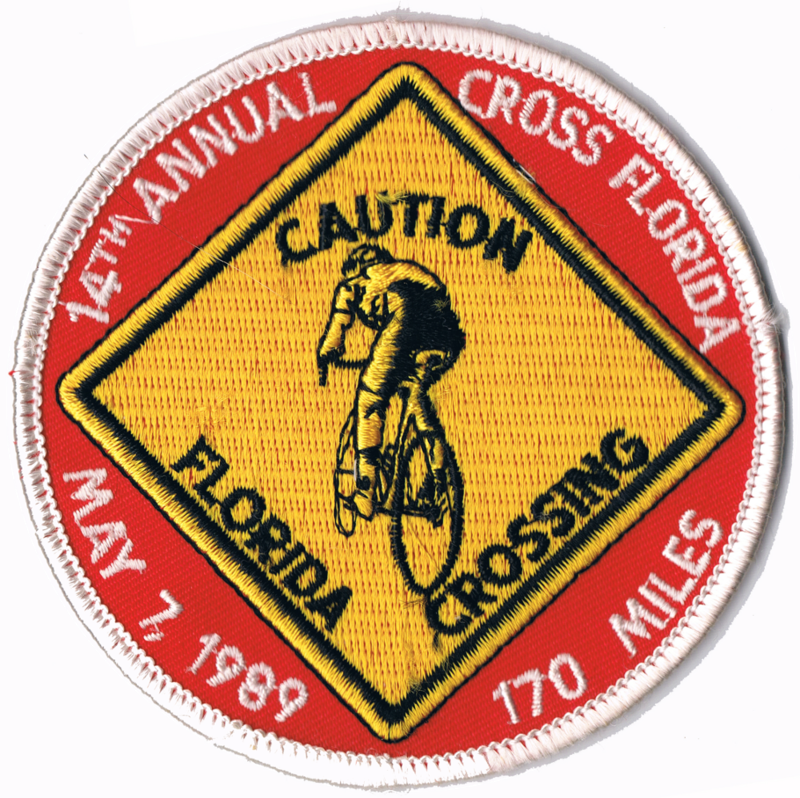 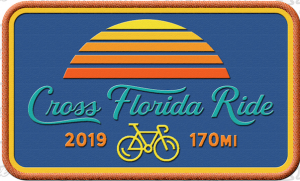 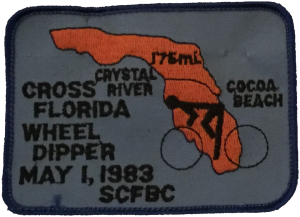 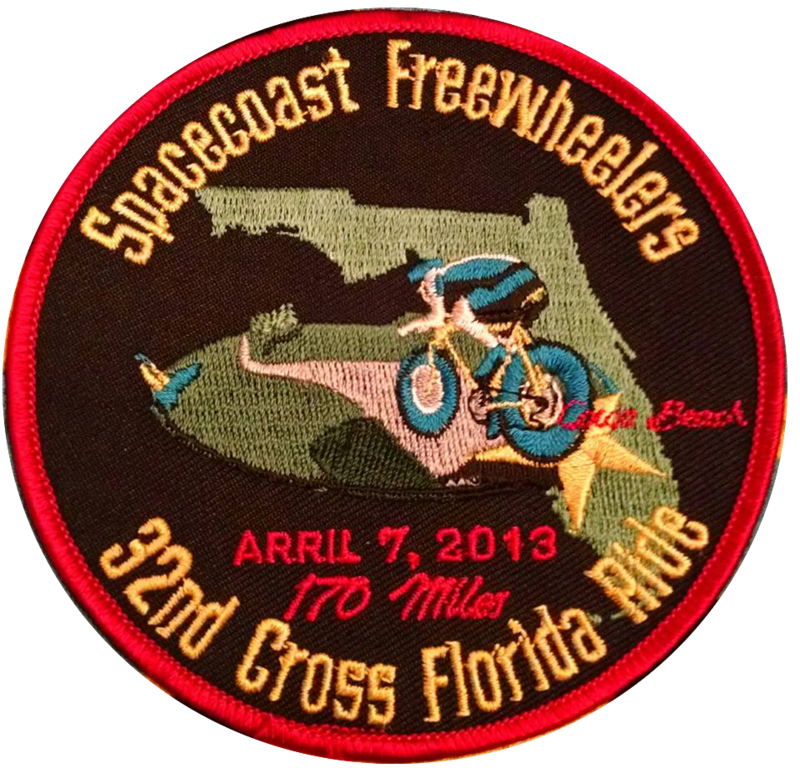 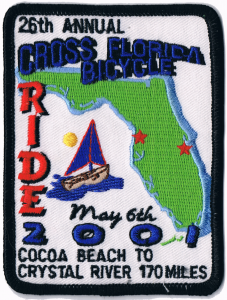 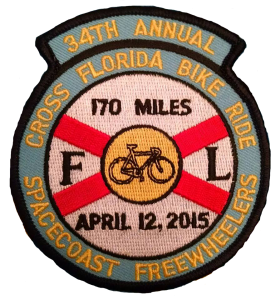 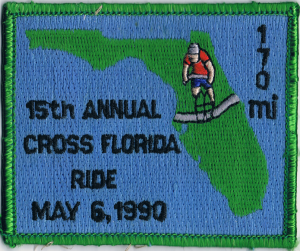 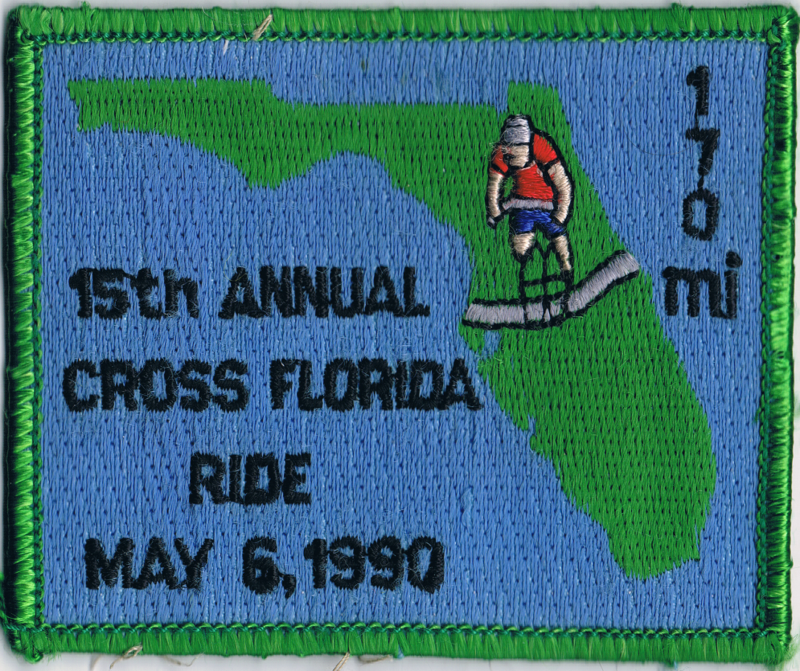 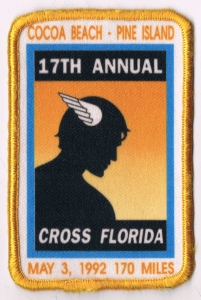 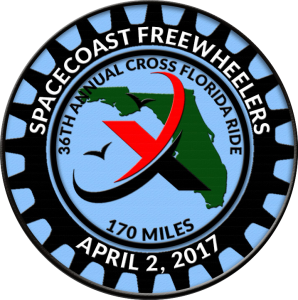 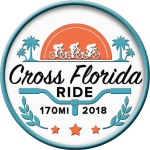 Your reward for successfully completing the Cross Florida awaits you at the Finish Line. 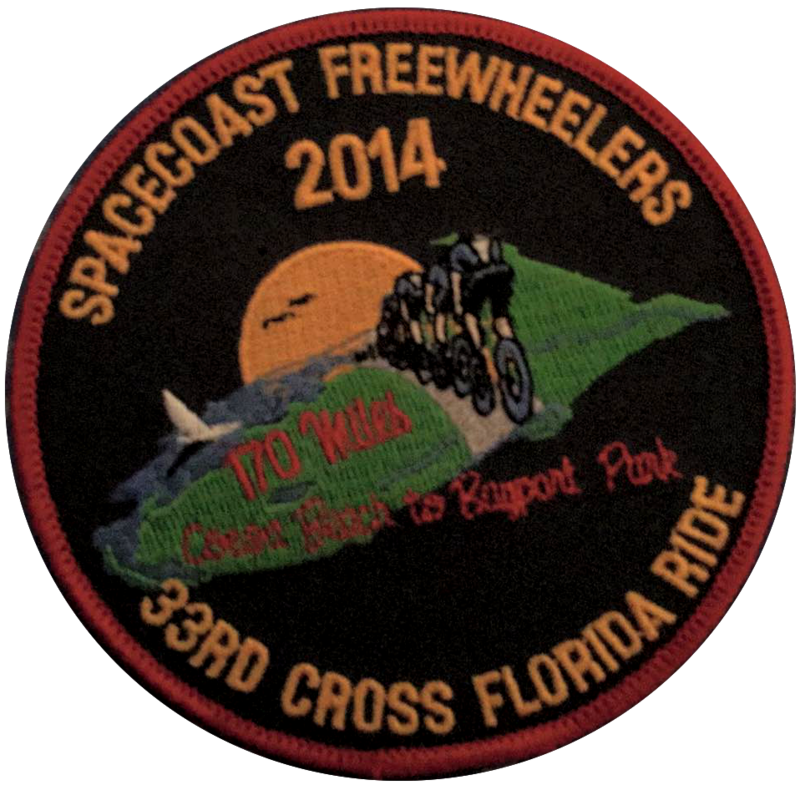 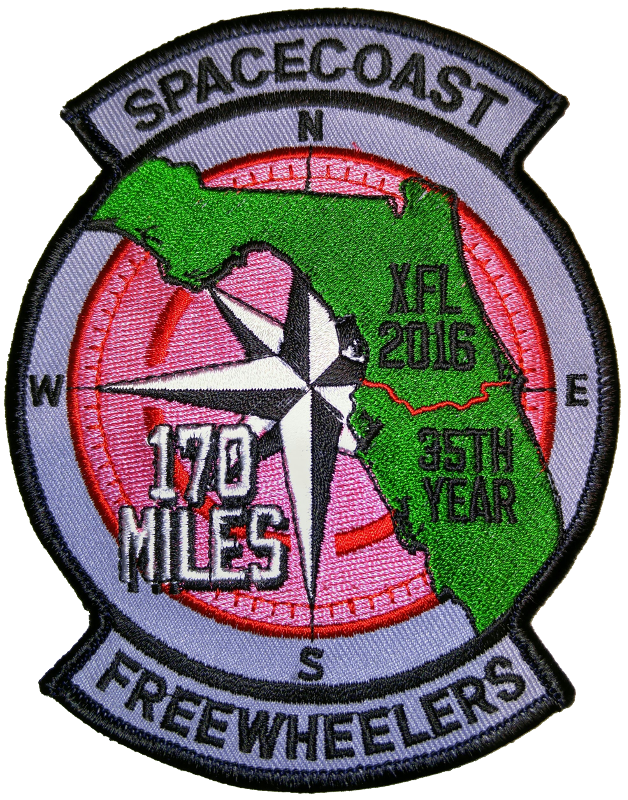 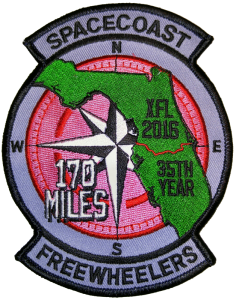 Patches will not be mailed, will not be given, will not be souvenirs. 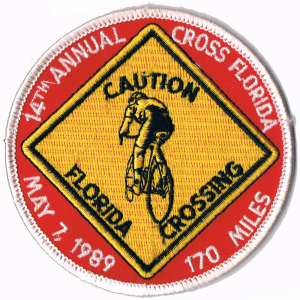 They must be earned and must be obtained as you cross the finish line. 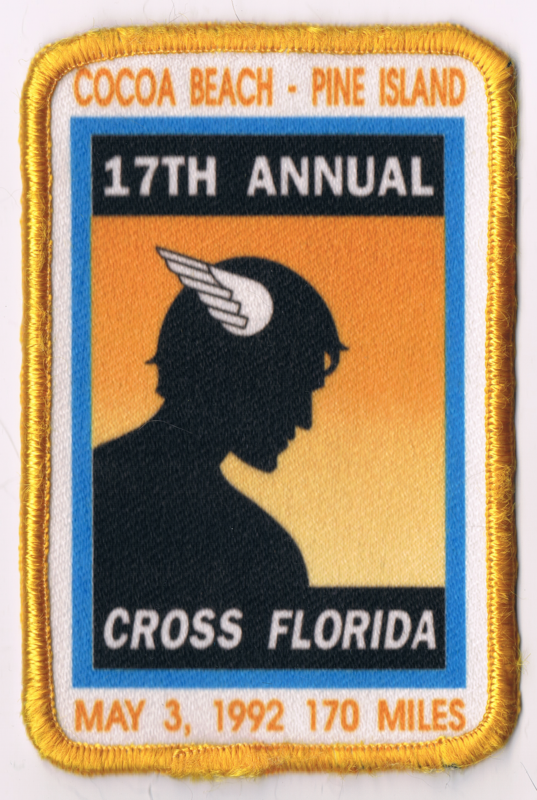 There is no other way to get your hands on this most sought-out prize to celebrate your achievement. There is no other way, but to pedal your way through success!